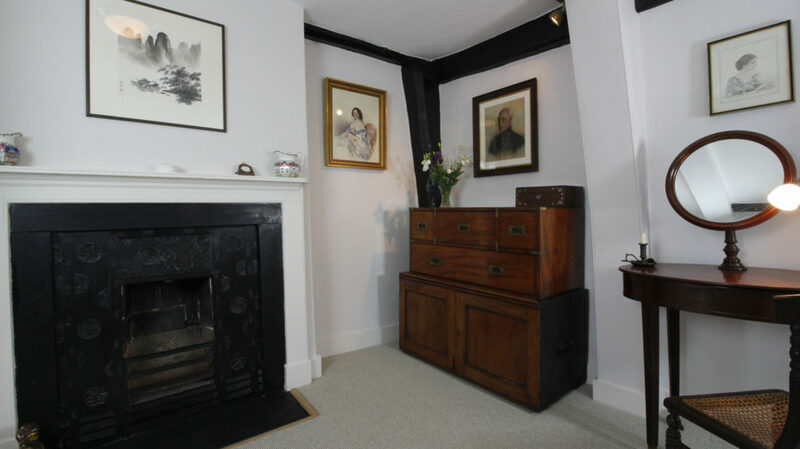 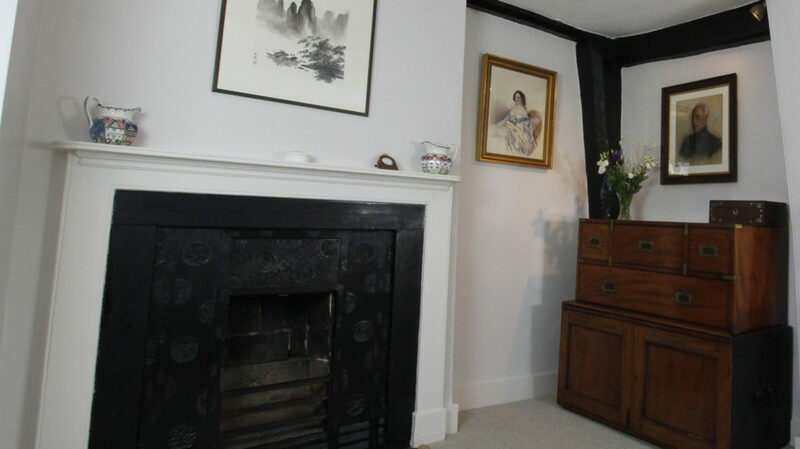 Step back in time as you enter the Oak Room and enjoy the original features of timber frame, creaking floorboards and slightly crooked floor – well if you’d been around over 400 years you’d creak a bit too! 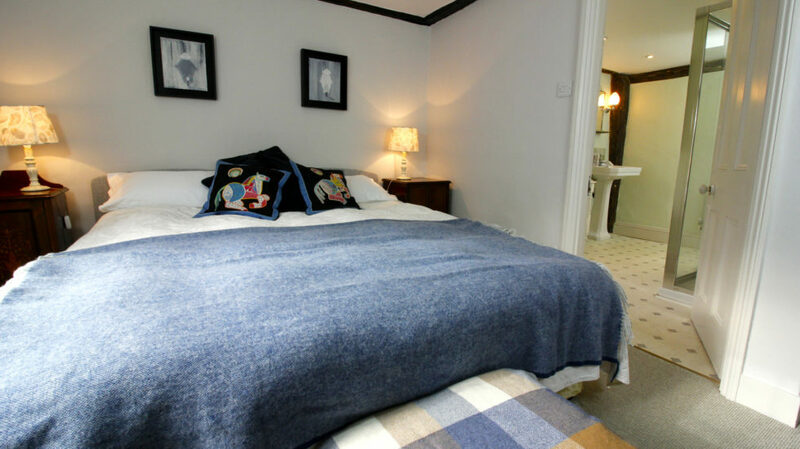 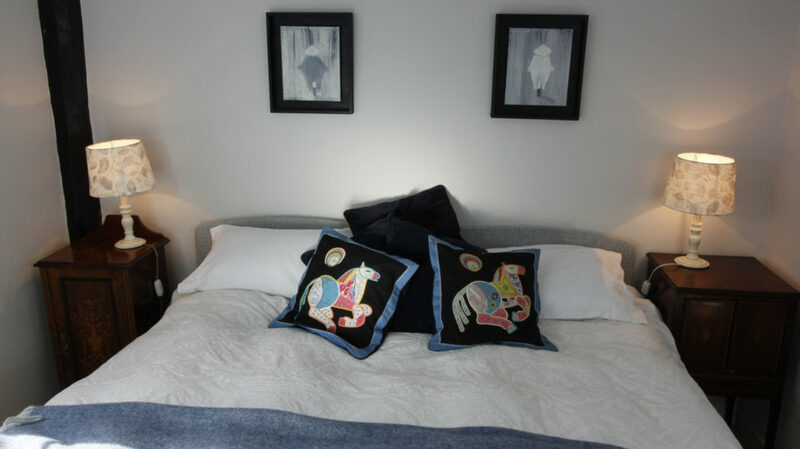 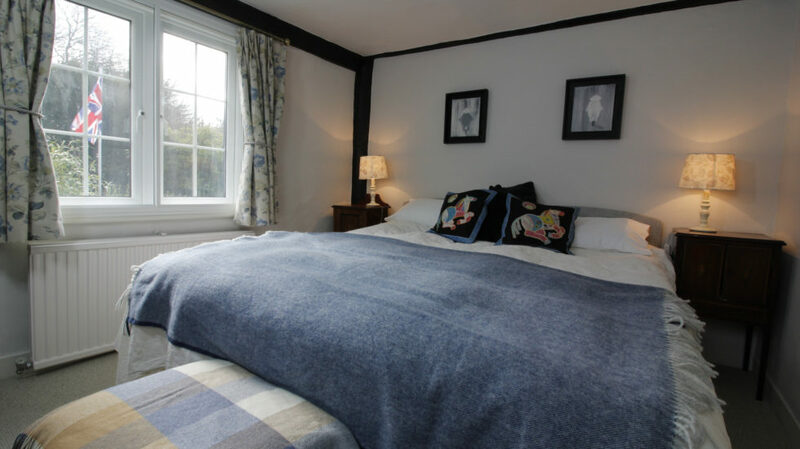 The room has been recently redecorated and includes a huge comfortable Super-king size bed (which can be twin beds if you’d rather) plus free wifi, fluffy towels and bathrobes, Egyptian Cotton bed linen and lovely smelling toiletries. 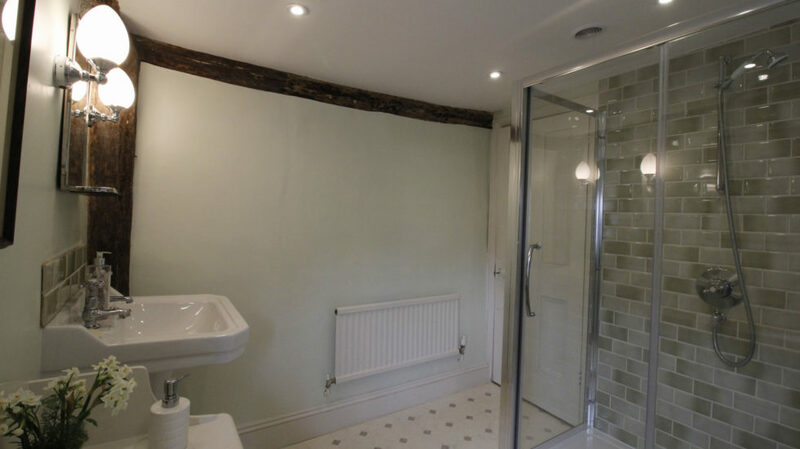 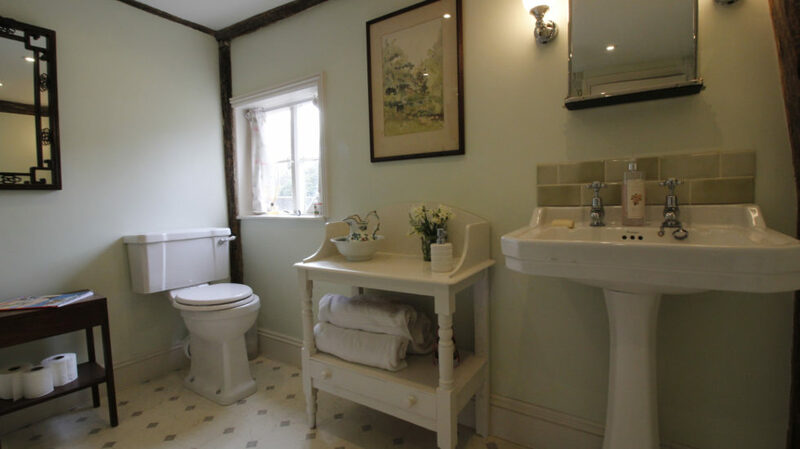 Then you can step into your own en-suite bathroom which is full of old world charm yet with a spacious and modern shower.